We are a multi-discipline wellness center offering chiropractic and massage therapy focused on your health and well-being in a relaxed and friendly setting. Led by Dr. Sara Littlefield, Back On Track Wellness is is committed to your health by providing a variety of treatments focused on your individual needs. Chiropractic and massage therapy are safe and natural ways to help many conditions — including injuries, back/neck pain, headaches, carpel tunnel, hip pain, chronic stress and more — for the entire family. We are proud to offer ways to reduce stress in your life and get your health back on track! Back on Track Wellness is conveniently located at 260 Western Avenue, South Portland, near the Maine Mall shopping area and is less than a 10-minute drive from Portland, Westbrook, and Scarborough. We accept most health insurance plans; including Anthem, Aetna, Cigna, Harvard Pilgrim, Medicare, and MaineCare (please contact your plan for your individual chiropractic benefits). Payment options are available if you don’t have health insurance, and can be less than a typical copay. Contact our South Portland clinic today for more information at (207) 899-0806! I have found the treatment at Back on Track to be the best experience I have had in overcoming my injury. I would highly recommend your practice to any friends/relatives looking for chiropractic services or massage therapy! A nice atmosphere with a cheerful friendly staff. I don’t feel like just a number. I love that Dr. Sara takes her time and completes a thorough adjustment. The staff is very friendly. Fantastic visit and very informative. Thanks so much! Dr. Littlefield and her staff are amazing! They’re very helpful and always make me feel welcomed! I can’t sing the praises of the supportive, helpful, humble and kind group that make up Back On Track Wellness. The level of professional and personalized care I receive as a patient of Dr. Sara and Andrea is such a gift in my life. I’m so very grateful for this nurturing & safe space to heal, relax and reconnect. I just wanted to let you know how impressed I am my experience at Back on Track Wellness. I came to you via a referral from a coworker. I had serious back pain and within 4 visits I felt completely healed. I am now going once a month just to maintain. I am continuing my monthly visits because I just feel so much better! It really is life changing. My overall experience was excellent. Dr. Sara took the time to listen and did not rush me. From the moment I walked in the door and was greeted at the front desk, I knew this is where I needed to be! I only wish I had come in sooner! Dr. Sara Littlefield was amazing! Great first visit. I just moved into the Portland area and needed a new chiropractor. 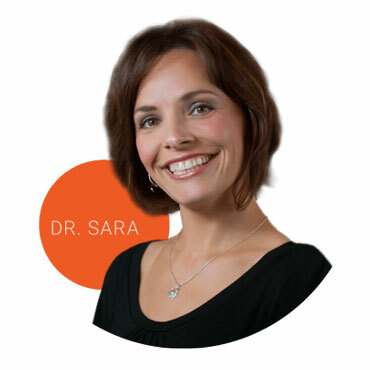 Dr. Sara is very thorough, patient, and knowledgeable. She took plenty of time to understand my needs and addressed them all. I look forward to returning again! It was a very enjoyable experience and I can’t wait to go back! Looking forward to bringing my mother for a massage on Tuesday !!! Dr. Sarah is wonderful. She is friendly, professional and very easy to talk to. Her methods are very effective. I felt better after my first visit!